A “thank you page” is what appears to website visitors to thank them after they have filled out a form or completed a conversion. Although some website owners may pay little attention to their thank you page, if your website is not taking time out to say thank you, it’s not building trust with your customers – and missing out on potential up-sells! 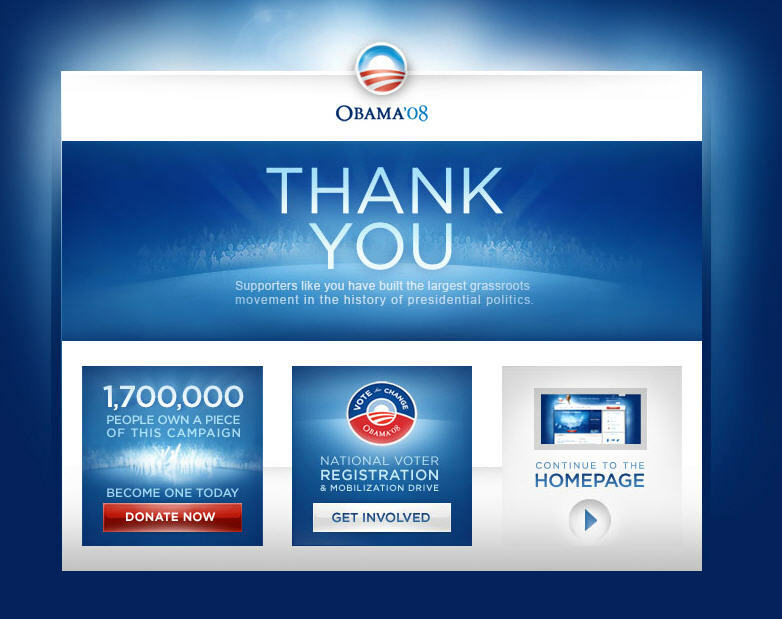 Here are 7 ways you can improve your thank you page to generate more business. If you’re running an E-Commerce website, your customer may want to share the news of their purchase with their friends. To make it easier for these customers to spread the word, have social media sharing options ready for them on your Thank You page. Not only will this boost your social media presence, it also creates referrals and word of mouth. A great example of this is Amazon’s use of the “Share this item” option that appears on the thank you pages for all of Amazon’s products. If you want to constantly improve your website, ask for feedback. If you ask for feedback on your thank you page, you will receive it from people who have taken time out to browse through your page and complete the checkout process. There is probably a few features or steps that they liked or disliked that they want to share with you. Listen to what your customers have to say and test the viable suggestions to see if they can help you boost your conversion rate. You can present a textbox for your customer to type in their feedback, or create a survey for them to complete. Whatever it is that you choose, keep it short and simple so your customer is more likely to fill it out. After a customer has finished their transaction, not only can you say thank you but you can also give them a gift. This gift can come in the form of a discount code for their next purchase or a free gift, e.g. a complimentary eBook containing calls-to-action for repeat conversions. Take full advantage of the thank you page by moving your customers even further down your sales funnel and strengthening their relationship with your brand. Be consistent throughout your website. Don’t spend time creating a powerful site and check out process then give your customers a half-hearted thank you once they’ve completed a conversion. Instead, continue to build a relationship with your customers by personalising your Thank You message to capture their attention. By doing so they are also more likely to take additional steps such as social media sharing or subscribe to an additional service that you offer. After completing a form or completing a conversion, the last thing you want your customer to feel is buyer’s remorse. Remind them on the thank you page of the benefits they will receive and always stay true to your word.